of their equipment sizing formula. Are you buying from a reputable, established company? If things go wrong, will your supplier stand behind you and your equipment? Will they still be in business in the next five years to do so? If you are unsure ask for a set of management accounts. Is the equipment compliant? Does it cover all your equipment? Ensure these companies do provide you with a compliance statement issued in writing. Is ‘dosing only’ acceptable to your areas water authority? In the majority of areas it is not! Please check it! Aluline can provide you with the department contact number and email for your relevant local water company to check this. Who manufactured the equipment / solution? If you are considering dosing, who manufactures it? What strains are in it? Is it tested for Health & Safety non contaminant in commercial environments? Who approved the equipment? Is it EN compliant? Is the Water Company approved or is it just mentioned on the advert/website? Ask your supplier for their approval or compliance documents. Have you seen other installations by the supplier or spoken to any of their ‘long term’ customers? Have they, or any of their employees had any criminal charges brought against them for fraud? In what business was the company involved, prior to being a drainage equipment supplier. What did they specialise in? This information can be found free on various websites. One can check out directors and company name changes. Many of these suppliers are not what they claim, “Specialists”. Are you buying from a salesman or from a website? A: What you want to hear? B: What you need to hear? 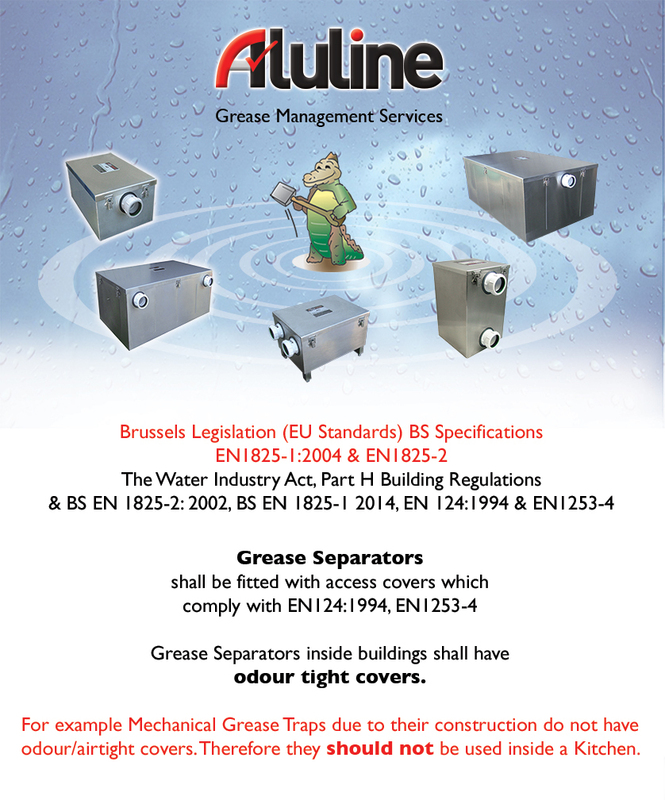 E.g How to size a Grease Trap? Insist on a survey or alternatively a specification from design to ensure you are protected against mistakes. Get the information and facts from the experts to ensure you protect yourself from the consequences of incorrectly specified equipment. Consequences for this include outlet contamination, which can result in the site being closed, unlimited fines and even imprisonment; leaving you with a criminal record. Ensure for your own peace of mind that you are dealing with a company that will still be in business after 12 months. Check credentials and past performance. Deal with a supplier that will keep you informed with regards to changing regulations, and will form a partnership that will have a sustainable long term working relationship.